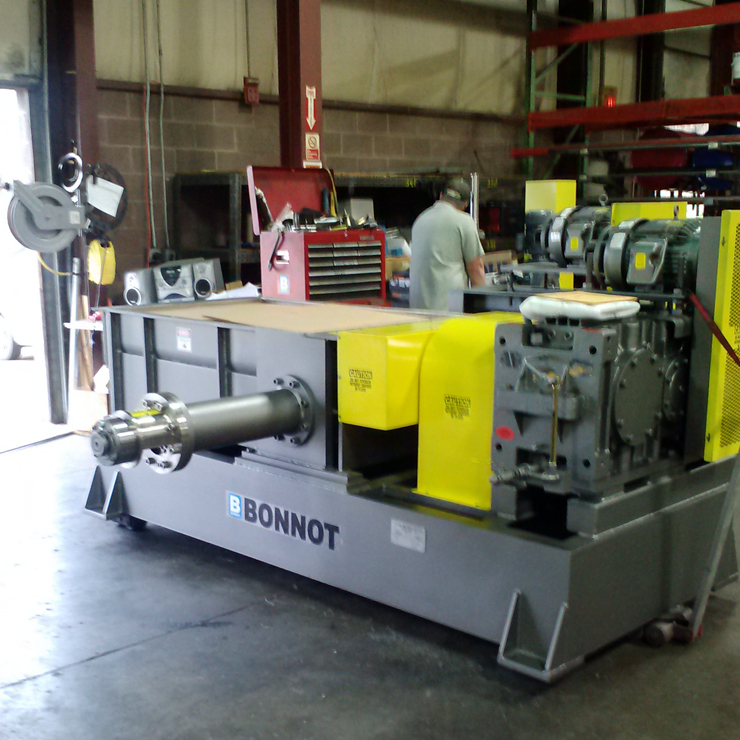 The Bonnot Live Bottom Extruder is designed for uniform, positive feeding of large batches of sticky and difficult to handle materials and compounds which do not feed satisfactorily by conventional means. The Live Bottom Extruder will help eliminate dumping the mixed batch onto the floor for manual cutting of loaves. The design creates a cleaner product and safer work environment for your employees. Integrating the Batch Handling System with the Live Bottom Extruder will allow batches as large as 3500 pounds to be processed. The Live Bottom Extruder size can be customized to match mixer capacity.